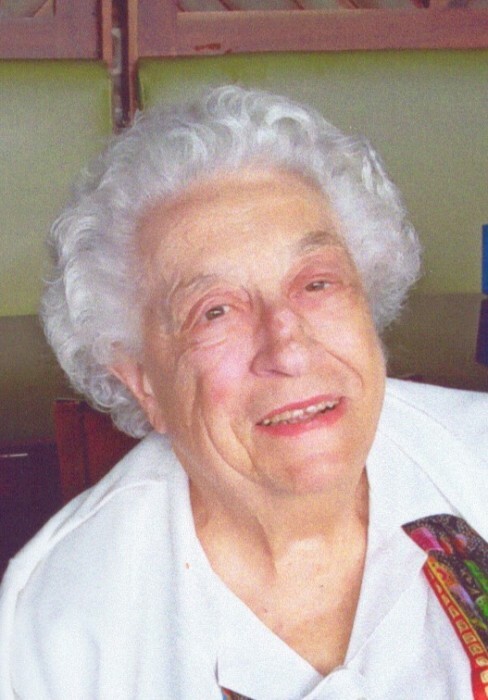 Obituary for Anna (Norato) Quinterno | Nardolillo Funeral Home, Inc.
of Coventry formerly of Providence, passed away on Sunday February 3, 2019 at West View Nursing Home West Warwick surrounded by her loving family. She was the beloved wife of Vincent Quinterno. Born in Providence, she was the daughter of the late Benjamin and Anna (Fortini) Norato. Besides her husband, she was the devoted mother of Anne Quinterno, Joseph Quinterno and his wife Dolores and Vincent Quinterno and his wife Robin; loving grandmother of Kenneth Rusko, Alexa Quinterno and Giana Quinterno, and loving great-grandmother of Chelsea Ann Forcier. Anna was the dear sister of Concetta Greco, Gail Migliaccio and Paul Norato. Relatives and friends are invited to attend her Mass of Christian Burial in St. Anthony’s Church 1413 Mineral Spring Avenue North Providence on Friday at 10 a.m. Burial will be private. Visiting hours are respectfully omitted. In lieu of flowers memorial contributions may be made to: St. Jude Children’s Research Hospital PO Box 1000 Dept. 142 Memphis, TN 38101-9908 of Schriners Hospital For Children 51 Blossom St. Boston, MA. 02114.